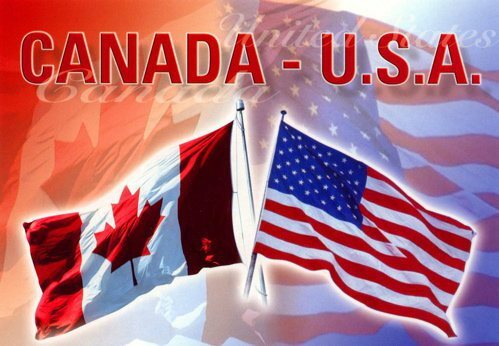 Canadian hosting vs US hosting; the best option for those on both sides of the 49th parallel. Canadians enjoy heading across the border for some great cross border shopping but, when choosing a web hosting company it is important to know what the differences between US and Canadian web hosting and what it can mean for your business. We are going to be looking at the differences in privacy between the two countries, the benefit of having your data near you, the benefit of being under your own nations law, the reason that you should be choosing local and of course the dangers of utilizing a US web hosting company, especially in regards to the DMCA concerns and lastly some added benefits of hosting within Canada. In the world of web hosting you have hundreds of options, and this article looks to show you why if you are a Canadian based business, having your web host based out of Canada is going to help your business succeed. We first start in the realm of privacy. Privacy is important, no matter what type of business you are running as proprietary information leaking to your competitors can mean the end to your success. However, how your information, and especially who has access to your information, is controlled is completely different between the two countries. In the United States their is practically no privacy protection for data owned by companies. There has been no comprehensive data protection legislation put through, and rather it relies on self regulation within the industry. The Patriot Act also allows federal authorities to block access to your data, as well as authorizes them to spy on you, through your site, all without a court order. On the other side of the 49th parallel personal data is regulated, and protects information for both individuals as well as businesses. This is from the Personal Information Protection and Electronic Documents Act passed through the Canadian government. In regards to your privacy, the only place to store it that is truly secure is right here in the Great White North. If you are looking for a fast loading time in San Diego, you store your websites information in San Diego, but if you are looking for a lightening fast connection in Vancouver why would you use that same data centre in San Diego. Simply put, the closer a data centre is to where your customers are loading your site, the faster it will load. This lack of latency will provide your customers with a strong and fast connection that will allow you to grow as a business. If your current data centre is located in the southern Unite States, like most, it might be time to reconsider your hosting options here in Canada. When you store your data in the United States you are not under your local law here in Canada, but your information and essentially your site is under legal jurisdiction of the United States. If there are any issues with your hosting provider, the local court of where their data centre is, has jurisdiction not where your business is located. Why would you risk the legal fees, and resources into researching and fighting a case in a state that you are far removed from. Although most will never face this concern, the simple fact that you could be fighting a legal case in Arizona, while trying to maintain a company in British Columbia should be warning enough. We all have seen the continued trend to buy local in your local grocer, and why are you not following the trend when it comes to your web host. Although there are many multi national options in the web hosting world, whether you live in Vancouver or Toronto there are some great options. When you choose a Canadian company you are also benefiting via your search engine optimization. Choosing a Canadian company will not affect, whether positive or negative, your global Google ranking, but will in fact positively effect your local Google ranking. As Google tends to assume that your IP address and .ca address means that you are in fact based in Canada. As 43% of Google searches, and 50% of mobile searches are via local SEO, this change in ip address can have a massive impact on your bottom line. In laymen terms, if you are based in Canada, and utilize a Canadian web hosting company a possible client has a greater probability of choosing you, over your competitor. DMCA has continued to be the most pressing concern when operating in the United States, and is the reason that many in Canada, and with growing numbers the United States choose their web hosting nation as Canada. The DMCA at its heart is a good idea, it is meant to take down illegal content that is stored within the United States. However, the issue is the mechanism in which the FBI uses it, and this is especially true with the broad stroke style in which has been operating lately.. Which means that if your site is stored alongside one containing illegal content, your site is going down with the seizure. There is good news, if you choose a Canadian web hosting company, that company does not have to immediately comply with a DMCA take down request. Thus, your web host has the ability to review the claim and isolate the problem site to not shut down the rest of the legitimate sites within the data centre. Further to that, Canadian courts have been wary of allowing DMCA take downs to happen in Canada, and continue to rule against the FBI and their attempts to come over the border. Here in Canada we have been a bit behind the time when it comes to hosting technology and data centres. However, this is changing, and at a rapid pace. The two biggest data centres in the country, PEER1 and OVH have had massive renovations and now feature world leading power saving technology and even more space. With a lower carbon footprint and even more data space, Canada is becoming a world leader in data centres. This means that Canadian prices will continue to drop, and hopefully within the next few years will be even or lower than our neighbours down south. 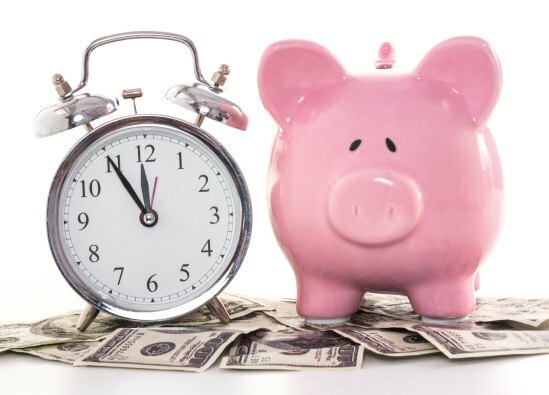 As well the benefit in hosting in Canada is that you will be paying in Canadian dollars, and the money you are saving from the exchange rate evens out. Plus, if you are a resident of any of the provinces that have instituted HST, you will be able to claim that as a tax credit on your next return. When you are based in Canada and looking for a new web hosting company, the obvious choice is to look North and choose a local Canadian host. The benefits outweigh the costs, and when it comes down to it, a Canadian company will be able to protect your data, and do it for on par compared to if you bought southern hosting. Now the only thing left is to choose what provider that you will be going with. With our head office in Vancouver, and data centres throughout the country, including downtown Toronto, the experts at 4GoodHosting are a great option. We offer a variety of plans that will fit your business, and with the option of traditional hard drive, or newer solid state drives you will be in good hands. Choose local, and see the difference that a Canadian web host can make for your business. At some points in your work with web page redirection, it can feel that you are simply dodging bombs and at your luck will eventually run out. Enter in the 301 redirect, and canonical options. These have been around for years, and yet throughout the industry they continue to bring debate and stir up questions on how to best approach them. In this article we will be looking at the two main methods to manage both the 301 redirect, as well the canonical attribute. Naturally, we will show you how to better the duplicate content issues, sustain your rankings and lastly how to improve the all important user experience. a 301 redirect communicates to search engines that this page is no longer here, and has permanently moved to a new page. Please remove it from your index and pass credit to the new page. a canonical redirect communicates to the search engine that, I have multiple versions of this page, but please only index this version. People can see the other versions, but please do not put them in your index thanks! We have all seen the standard 301 HTTP status code that is mean to mange the complete and permanent redirection of page. Once this is established, in theory you will eventually pass the majority of the original page’s link authority relevance as well as its ranking power to the page that you are redirecting to. A 301 redirect informs both the user and Google of this change. However, in realty we know that this can be trying process in which success is measured by increments rather than full authority all at once. The first issue you may face is that it takes a long time, and I mean you are going to have to take a few turns of the calendar until some search engines will attribute authority to the redirected page. Naturally, this depends on how often your page is crawled by the search engines, but the delay does mean that if the change is on a tight deadline, a 301 is not your best tool. Another issue is on some pages it is not possible to implement HTTP status codes. The reasons for this are many, including not having FTP access or your web designer told you this is not going to work. It all boils down to if you do not have the ability to have server-side access, the 301 is not going to work, simple as that. Lastly, 301’s often are used incorrectly, and when this happens it undermines your own relevancy. A 301 is not to be used to redirect all pages during a website shift, this will actual cause a high bounce rate, and your client will simply not be able to get anywhere near the site. However, when it comes down to a simple page redirect, the 301 is still the king of the court, even with its very complex issues. To start off, the rel=”canonical” attribute is not a substitute for a 301 redirect, it is merely a tool that is utilized by the search engines. This is because it is a tool when a web page has duplicate content but both pages need to stay active, and is used to avoid the punishment by search engine crawlers for near identical content. This means that if you have a page with the same content, but that have different URL’s that have a product listed by size, and the other by weight. When Google goes to index both, it will pick which one is more relevant to the search, rather than the actual page that the person is looking for. This can be avoided by simply placing a rel=”canonical” and picking which page will always come back on the search. This lets Google know you realize that there is similar content, but you would prefer the size page to be relevant for instance. The biggest issue with rel=”canonical” is the fact that it is so commonly misused, by industry professionals and amateurs alike. If you are looking to redirect, you really need to go another route. This is only to be used if you have the issue of duplicate content, and that is it. Yet another issue is when there is a misuse of the tag on multiple pages. When you use this tag, it is telling Google that the first page is what is relevant, while the rest of the content is a duplicate. This might not be your intention, and will actually have the opposite effect than desired as your page will lose visibility. Plus, even if you have made the level of relevance and authority for specific searches, these pages will not show up due to this command. Simply put, unless there is duplicate content do not be lazy and look for other options. Although redirect options can first look to be intimidating, they are in fact not. Both of these options will in fact work, but their implementation are for very different circumstances. 301 is still the dominant form and for good reason, however if you are concerned about duplicate content or speed the choice is simply to utilize rel=”canonical. Paywall systems. How to market and sell your content on your website. The Internet is wide open, but sometimes your proprietary content that has value should she sold for a certain amount of money. This is where Paywall systems come into play. This creates a membership or customer or client base for you as well, giving you email addresses where you may be able to sell similar content to the same previous customers. For paying subscribers, they then get access to say your gallery, video, mp3s books, articles, or any other kind of files. Again to keep things under control, you will need a paywall system. 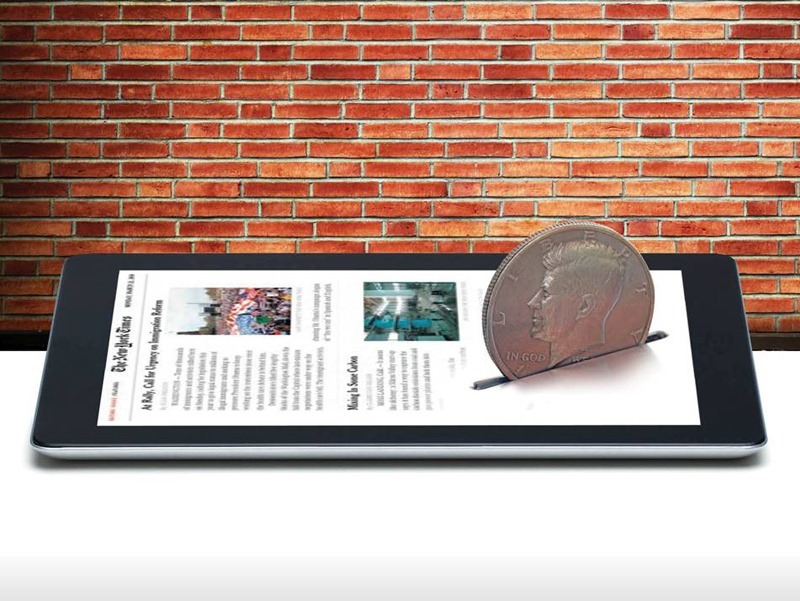 Paywalls have received a bad reputation because content people think should be free isn’t always free. However, that is the proper nature of things, that your works should have some sort of monetary value. You just need to make sure you publish interesting content that others can easily find for free anywhere else; that is the other half of things. April 21st is another ‘big SEO day’ around the world from a google ranking index perspective. Why a month and two weeks from the date of this article? Well, that is when Google will be changing the technique that they use to rank websites (with a higher high ranking factor given to websites that are also mobile friendly). Google started highlighting ‘mobile friendly sites’ in results last year. Google states that their April 21st update will have ”significant impact” on all mobile-based searches from all around the world. Google justifies the change in saying that searchers will see better search results. Details on how ranking will effect desktop searches is yet to be seen; but it is anticipated that websites that are also mobile friendly will be given extra elevation by Google’s new algorithm. 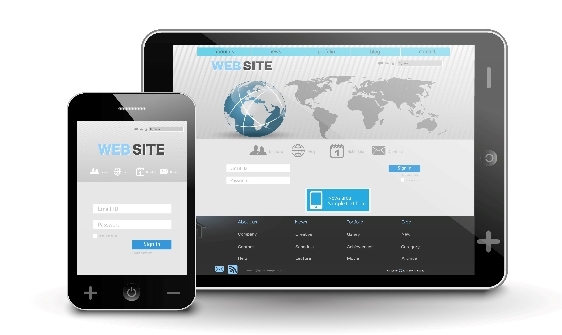 These changes are good news for mobile webmasters. Also, it should help motivate webmasters and designers that still don’t have a mobile website deployed to create one. Since the middle of this past year – mobile internet users started outnumbering those who surf the web with a desktop computer (or laptop). 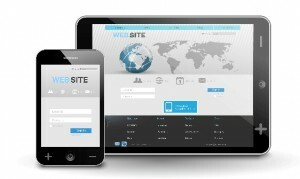 Today’s mobile users certainly expect that websites will display most effectively on their choice of device. Webmasters who want to test their website’s ‘mobile compatibility’ can use Google’s tools for detailed information. Overall the change means that owners of websites that are not ‘mobile-friendly’ as of April 21st, 2015 can now expect to see their search rankings and traffic take a significant downward hit. According to the latest Canadian Internet Registration Authority (CIRA) one in five 18-34 year old Canadians have made a purchase on a mobile device. The CIRA announced its fourth annual .CA Factbook 2015 this last Tuesday, and within it the mobile device is becoming a central hub for ecommerce among the Canadian Youth.